Manchester City stormed to a resounding 7-0 victory over Schalke to seal their qualification into the quarter-finals of the Champions League on Tuesday night, in what was a record-breaking game for the Citizens. It is a night which will live long in the memories of many, including midfielder Phil Foden. 'The Stockport Iniesta' grabbed City's sixth goal on the evening, rounding Schalke goalkeeper Ralf Fahrmann before slotting the ball into an empty net. 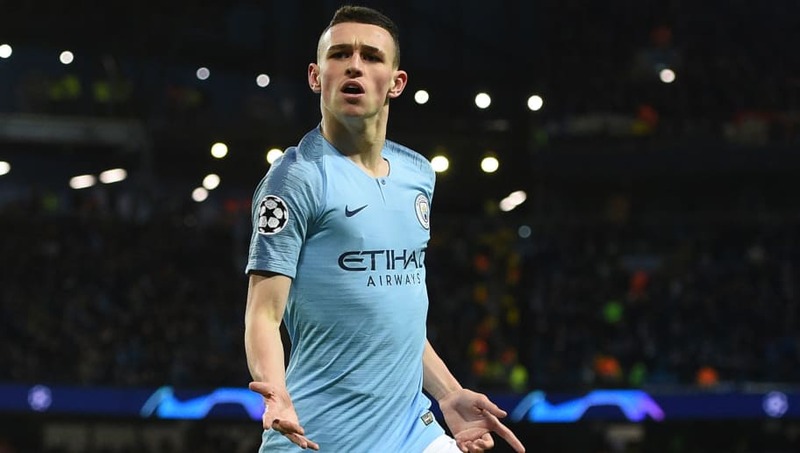 In doing so, ​Foden cemented his place in ​City's record books as, according to ​Opta, Foden is​ now the club's youngest ever Champions League goalscorer, finding the back of the net at age 18 years and 288 days old. He is also now the fourth-youngest Englishman to ever net in the competition, behind just ​Alex Oxlade-Chamberlain, Jadon Sancho and Theo Walcott. Widely regarded as one of the country's finest young prospects, Foden has been a regular feature in City's matchday squad this season, making 23 appearances in all competitions. He has also racked up six goals and two assists as he looks to stake his claim for a regular place in Pep Guardiola's lineup. However, in City's midfield, he finds himself competing against the likes of ​Bernardo Silva, ​Kevin De Bruyne and ​David Silva for minutes, and it was the latter who Foden replaced against in the second half of Tuesday's match. He is viewed by many as a potential heir to 33-year-old David Silva in midfield, and Foden will be targeting more impressive performance as he looks to make an impact on Guardiola. The 7-0 victory ensured City won the tie 10-2 on aggregate, which is the biggest ever margin of victory by an English side in the history of the competition, whilst it was also the worst defeat ever suffered by a German side in Europe's most prestigious competition.